Tale of A Baseball Dream "World's Greatest Baseball Story"
Jerry Pearlman’s debut chapter book for kids ages eight through twelve tells the story of Dusty Hunter and his great love for baseball, beginning when Dusty is approximately eight years old himself. The book is told in first person from the perspective of Dusty’s dad. I was touched by that viewpoint. Dad teaches, encourages, and sweetly shows his love for his son, behaviors and emotions not always portrayed in today’s media. All Dusty wants to do is play baseball, day and night. Dad is there with him, teaching him skills and strategies, always encouraging Dusty to practice, practice, practice. This encouragement is the underlying message of the book—when you have a dream, work hard and you can achieve it. It’s a great message to kids, whatever their dreams are. 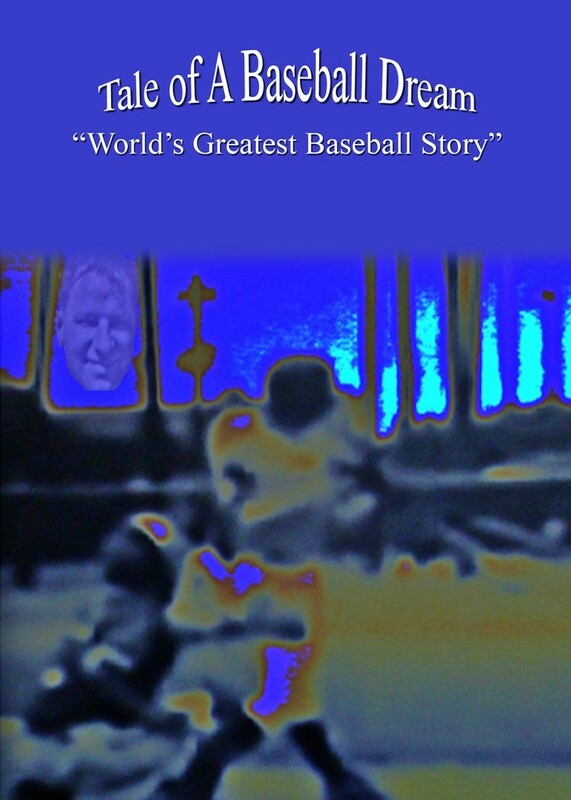 In the background, but an integral part of the story, is the account of a baseball player from long ago. “The Brute”, as he was called, believed he had been mistreated by the fictional New Jersey team for which he had played for many years. Angrily, he put a curse on the New Jersey team, which followed them for decades. Pearlman continues the Brute’s story from heaven after the Brute dies. I think kids will enjoy the way Pearlman portrays heaven, the Brute, and the Brute’s friends. It’s not a typical portrayal of the afterlife; kids will get a kick out of Brute’s life in heaven. As Dusty grows older, he continues his deep devotion to the game. He plays Little League, Pony League, and moves on to high school ball. Along the way, Dusty meets with various levels of success, but his dream never dies. When Dusty is in his late teens, his dream and the Brute’s anger come together in a spectacular way. It’s not a surprising way, but one that is nonetheless not completely predictable as kids read through the book. Kids interested in baseball may get the most enjoyment out of this book. Pearlman doesn’t overdo it, but there are more than passing references to specifics of the game. I’m a baseball fan from way back, particularly the Pittsburgh Pirates. I enjoyed the details of the game, but kids who don’t know that much about baseball won’t be confused enough to give up on the book. The story is fundamentally about working hard to achieve your dreams. In Dusty’s case, baseball is his ticket to success, but kids who want to succeed in school, music, or any other endeavor will easily understand that message. The book holds personal meaning for me. As a youngster, my son was as enthralled with baseball as Dusty is, and he worked just as hard at it. As he grew older, my son stopped playing baseball, but he channeled that passion and hard work ethic into his career choice. He worked as though he had blinders on and made many sacrifices to realize his dream. I can feel for Dusty’s dad as he sees his son achieve what he works so hard for. Pearlman writes a book that is easy for kids to read. The chapters are short; they do not leave kids hanging and they lead smoothly into the next chapter. Parents will be happy that the book is interesting enough to entertain their child, and gives them a life lesson that will serve them well. Produced by Family First Productions, Inc. Tale of A Baseball Dream is published by Family First Productions, Inc. Please Note: Family First Productions, Inc. recommends that a parent or guardian read all material prior to a child reading the material, to assure that it is appropriate for that individual child! Please monitor your children’s internet activity! Where can I purchase and/or download? I didn’t see it in the blog menu. Thanks! Hi Dede! I recommend the best place to purchase the book is on Amazon! You can also go to Amazon Kindle & purchase the book at this time for $2.99. If you don’t have a Kindle, you can download it onto your computer or blackberry! You can also go to any Barnes & Noble & purchase it, or on barnesandnoble.com! Thank you for your interest! Thank you Dede for your review! I appreciate it! I’m glad that you liked the book! "Goodreads" Ratings & Reviews for Tale of A Baseball Dream! Books Complete Me Interview with Tale of A Baseball Dream author Jerry Pearlman! Purchase NOW on Amazon Kindle for ONLY $2.99!